When you arrive in one of the most expensive cities in the world, feeling overwhelmed is understandable. With rent prices as high as the Empire State Building and slices of pizza retailing for astronomical sums, it’s hard to know where to get the most for your money. Never fear, New York City has adequately provided for those on any and all budgets. We explore ten of the best free things to do and see in NYC. With the hipster culture in full swing, investigating Brooklyn Brewery is not only free, but a rite of passage when you set foot into New York City’s second most popular borough. Free tours run every half hour, with the option of five beer tokens for $20 (a steal in NYC) to accompany your experience. The Brooklyn-esque décor juxtaposed with the endearing ambiance of this brewery and bar seals the deal for a perfect Saturday night. Central Park is a tourist haven, but that’s no excuse for missing out on one of the most beautiful, must-see destinations in the Big Apple. Taking up 50 blocks of some of the city’s most prime real estate, Central Park is a perennial oasis nestled amongst the concrete walls of Manhattan’s brick and mortar jungle. 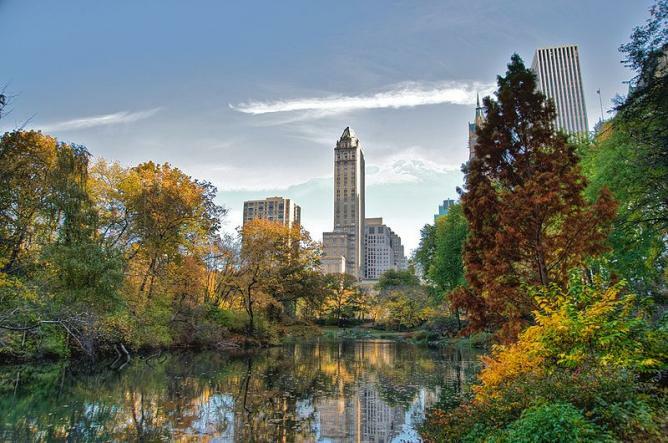 Wander through the Conservatory Garden, scale the Belvedere Castle, get lost in Sheep’s Meadow or, if you’re feeling romantic, take a boat out on the lake where you’ll glimpse the Boathouse Restaurant. 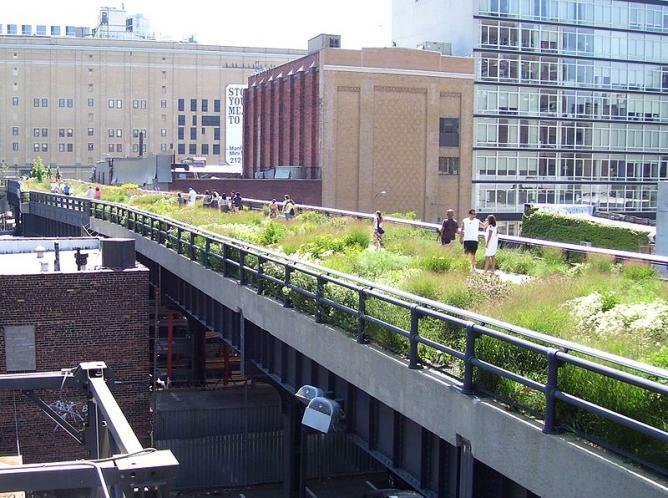 New York City’s High Line, converted from an obsolete train track into an elevated and elegant boulevard, was unprecedented and has since been unmatched. The illuminated walkway has brought increased attention to the celebrity packed area. Take a stroll up or down the almost 1.5 mile long walkway at almost any time of day and fall in love with Manhattan’s West Side. You’ll pass through the Meatpacking District on your way to Chelsea as live music and organic food vendors attempt to lure you in. 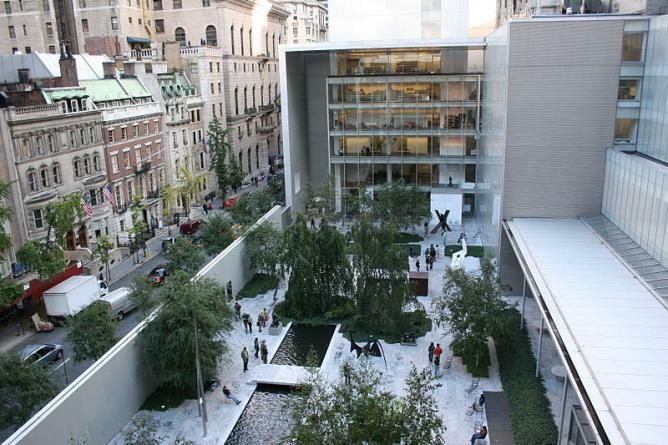 The Museum of Modern Art (MoMA) is a symbol of the eccentric and boisterous personality that is New York City. Nestled on 53rd Street near 5th Avenue, this museum is bursting with peculiar artwork in all shapes, sizes and forms. From yelling clocks and hanging helicopters to the world renowned Rain Room exhibition, this imaginative museum is eye-catching to say the least. Though charging $25 for admission throughout the week, UNIQLO sponsors a Free Friday Nights program that allows anyone and everyone to experience the museum gratis. For cobbled streets, pop-up shops, street performers and riverside dining, head to South Street Seaport. 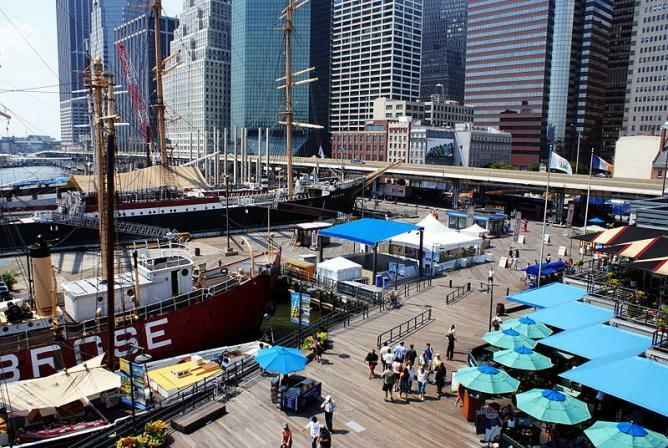 Located way downtown on Manhattan’s East Side, South Street Seaport/Pier 17 is an underrated and often overlooked gem. This trendy yet sophisticated port resides where Fulton Street hits the east River, and has an early 1900’s architectural motif complete with rustic streets, restored ships and an outdoor plaza teeming with quaint shops. The extinct Fulton Fish Market leaves this place with a raw and historic New York feel. You don’t always have to be outside to experience something free in New York City, and the Sony Wonder Lab is proof. A wonderland of sorts, this labyrinth of Sony products boasts dozens of futuristic concepts and unreleased technologies. They have interactive exhibitions and impressive robots, thus ensuring that this electronic Eden is rarely empty, so be sure to reserve your tickets in advance. Don’t miss the free public screenings of popular films at Sony’s one of a kind theater – the quality is outstanding. 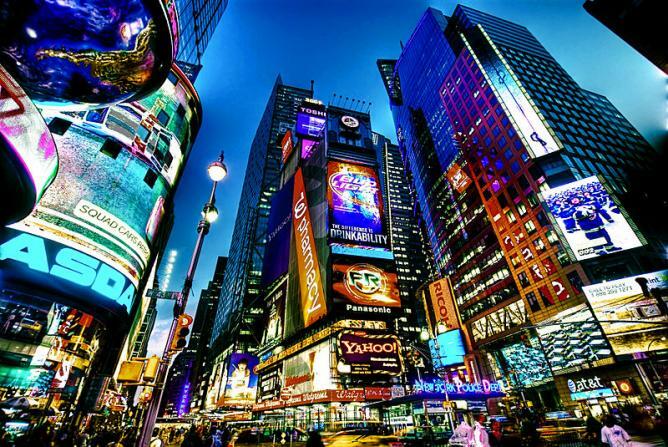 Most people fall in love with New York City when they first set eyes on its captivating and unparalleled skyline. 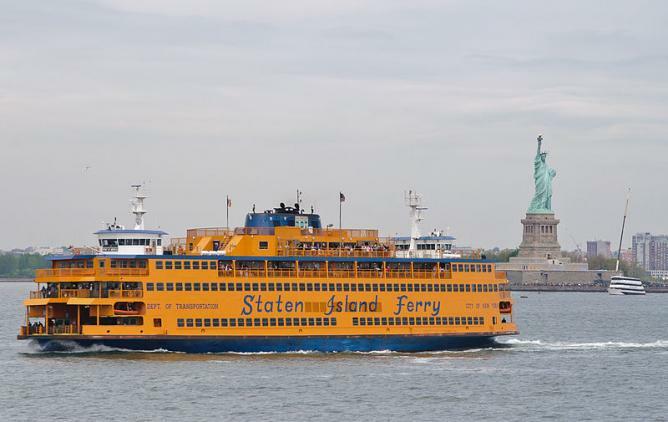 Jump aboard the Staten Island Ferry for panoramic views encompassing the Statue of Liberty, and photo opportunities galore. The ferry is available to any and all, free of charge, for a 25 minute journey across Manhattan Bay. The ferry runs all day back and forth, charmingly allowing you to witness the bustling metropolis in all its architectural glory. Manhattan’s most wonderful irony is that the greatest thing to do within its expensive borders is to walk, free of charge, around its never-ending network of avenues and streets. Start in Chelsea and head to the West Village before turning east towards SoHo. Saunter through Greenwich and the East Village, perhaps stopping for a coffee to refuel before you move on to Little Italy and Chinatown. Strolling Manhattan’s historic downtown neighborhoods is perhaps the best and most authentic way to take it all in. The Brooklyn Bridge is a must. Jump on the 6 train to Brooklyn Bridge/City Hall and take in the aging bricks as you tread across the world famous suspension bridge. This walk is beautiful in any season, so long as the sky is clear. With over 4,000 people making the trek every day, you can be sure you’ll have some company. When you’ve arrived in Brooklyn, head under the bridge to Grimaldi’s for a slice of their historic pizza and a view of the harbor. If you can muster the energy, walk back across the bridge as you take in excellent views of Manhattan. SNL, The Tonight Show, 30 Rock – New York City plays host to some of television’s best comedic powerhouses. Unbeknownst to most, the tickets to the majority of major show tapings are 100% free. This secret won’t last for long however, so pop on down to Rockefeller Center and settle in for an afternoon that’s sure to keep you entertained. Book early and don’t be surprised if you see Alec Baldwin or Jimmy Fallon getting ready for an appearance. Rockefeller Center itself is also good value, so be sure to explore the area.